Valle d'Aosta since the times of the Roman Empire is the cornerstone that links Continental Europe with the Mediterranean. The Consular Gallia Road that bound Rome with the Alpine passes of the Great St. Bernard and the Little St. Bernard, divided in two directions right in the center of Augusta Praetoria, today's Aosta. 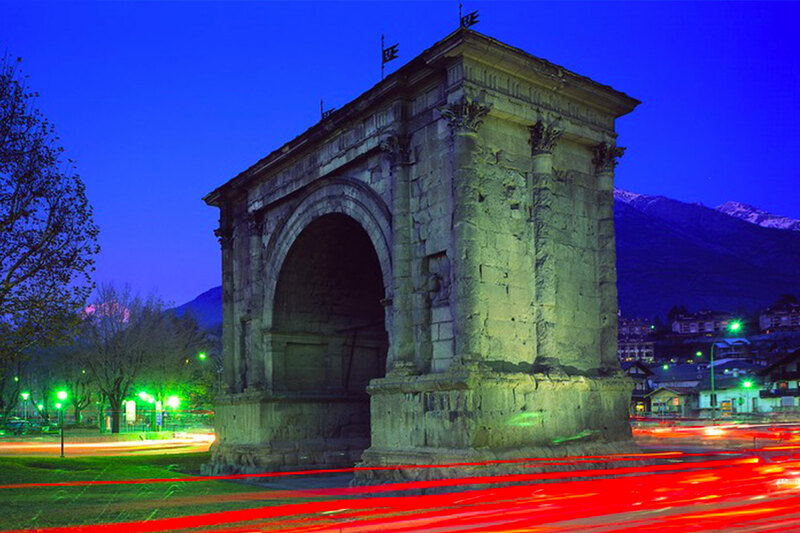 The city of Aosta today as at the time of Emperor Augustus is a strategic hub for traffic and goods. Along the Alpine passes of the ancient Rome, modern tunnels have been joined, the Consular Gallia Road has been replaced by the motorway, which makes Valle d'Aosta the nearest and more easy reachable Italian Alpine destination from the airports of Turin and Milan. Railroad and airport complete the infrastructural endowment of the region. The airport is the most strategic infrastructure of the entire Western Alpine area and is set to become a preferential landing point for direct flows to other major European Alpine destinations. From 2020 the airport will be completely renewed, revealing its vocation to become a gateway to the Alps. The ancient Roman Capital of the Alps becomes today the center of irradiation of Rete Turismo Network.